$SPX - Chart Link - nice market move today - again as I stated last night, there was nothing bearish, in fact most of the indexes and sectors looked like bull flags on their daily charts trying to bounce off their 9 EMA's. 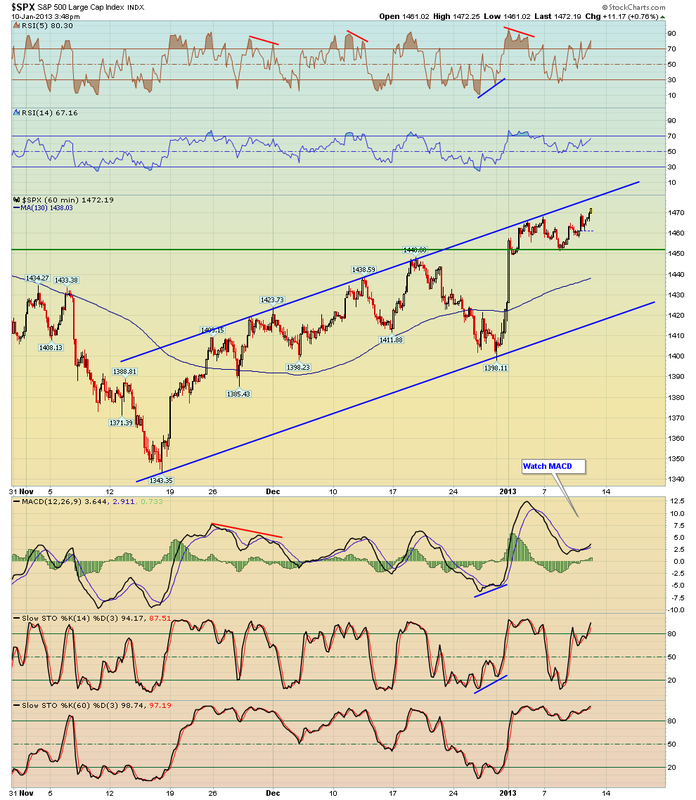 Otherwise via the 60 min chart - one thing to watch for now is negative divergence, note this uptrend channel - first off watch to see if the upper trendline of the channel acts as resistance - would offer low risk quick short with a tight stop. Keep an eye on the MACD, it is lagging, therefore negative divergence could set up but for now it's only a potential and SPX may want to go and test the upper channel trendline.